How would you like to spend an afternoon with some of Vancouver’s most innovative, inspiring, and creative minds who work with food to innovate, unite, and create change? Right? Well thanks to Whole Foods Markets, you can! 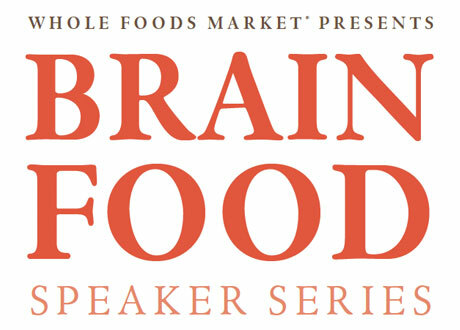 Introducing Brain Food Speakers Series. Inspired by speaker events like TED, Whole Foods decided to invite the best and brightest in the local food business together to share their stories and how they got to where they are today. The format is intended to be low on the self promotion and high on the inspiration. Everyone will go home excited about discovering innovative new things happening in the Vancouver are food scene. The event is presented by Whole Foods Market, sponsored by Vega and supported by Left Coast Naturals. Oh, did we mention there will be refreshments and snacks provided? So whether you’re a culinary creators, food bloggers, entrepreneur, activists, authors, or whatever, if you’re as food-obsessed as we are, you’re going to want to be in the audience at UBC’s Chan Centre for this delicious event!